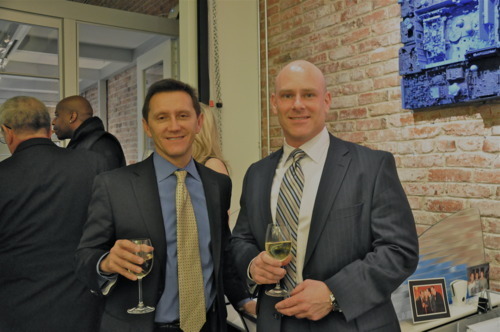 On Friday, March 9, ArtSee and TTR Sotheby’s International Reality teamed-up to showcase works of art by local artist, Joel D’Orazio, at Sotheby’s newest office on 14th Street NW, in the heart of Logan Circle. Throughout the evening, which was free and open to the public, guests streamed into the renovated warehouse-esque space to view D’Orazio’s work, talk to the artist, mingle with friends and enjoy wine and hors d’oeuvres. 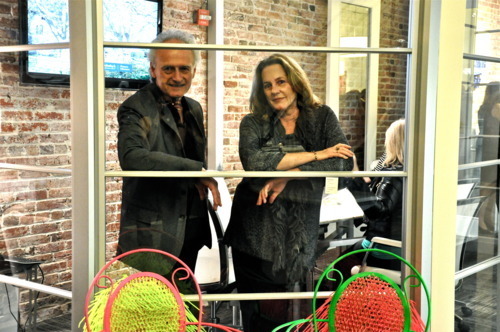 The opening evening highlighted 13 pieces from D’Orazio’s eclectic collection, including nine polyurethane prints, two acrylic-painted found art objects, a sculpture and two “Primp” chairs, designed by the artist. Shortly after dabbling into furniture, D’Orazio began painting and sculpting. He paints on both panels (mixing oil paint and color pigments into polyurethane) and pieces of found art. His work has been on display at Art Museum of the Americas’ Group Exhibition “Bilateral Engagement” and several of the annual Washington Sculptors Group show. So what is the connection between art and reality, one might ask? Well, the Sotheby’s brand has a long-standing relationship with the art world and local art scene, including sponsoring the Corcoran’s NOW at Night this past fall. The company hopes that featuring D’Orazio’s work will continue to strengthen its art connection and provide new opportunities for local artists. Realtors attending the event saw a connection between the art and reality, as well. 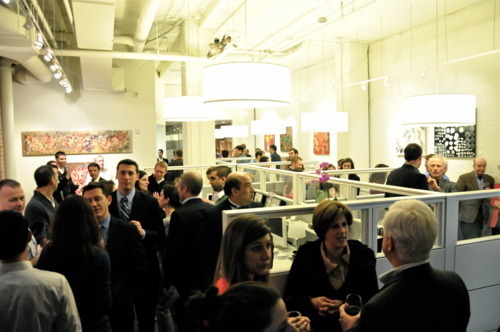 Some were even thinking how local art could help to sell properties in the D.C. area. D’Orazio’s show will hang on the walls of the Sotheby’s office for six weeks, ending on April 14. 2012.